Linguists hotly debate the origins of the Yiddish language. Does it have its roots in Hebrew and Aramaic, or is a Germanic language? Did it originate in Israel, Germany, or eastern Europe? We don't have a clear answer, and we will never know for sure. Yiddish speaking Jews fled Germany in the 1930s-40s, and those who didn't flee lost their lives. It has taken many years for Jewish people to be willing to return to Germany. Even today the majority of the Jewish people in Germany are Russian Jews who speak a different language than the Western Yiddish speaking Jews. There are three Western Yiddish languages, all of which sound much like German to a non-speaker. Jewish people who speak Northwestern Yiddish live in the northern part of Germany and the Netherlands. 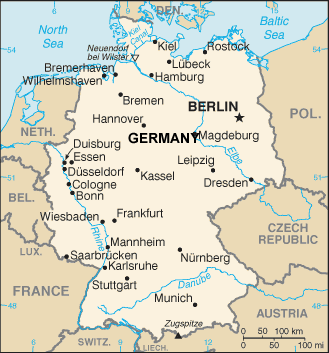 "Midwestern" Yiddish is spoken in central Germany, and the "southwestern" dialect is spoken in southern Germany. The Western Yiddish speakers have blended into German society, and most hold professional jobs. Some of them are very active in their synagogues, while others are not. For religious Jews, God is the Supreme Being, the Creator of the universe, and the ultimate Judge of human affairs. Beyond this, the religious beliefs of the Jewish communities vary greatly. There are a couple of sectors of Jewish beliefs. There are Orthodox, Reformed, Liberal, and Agnostic variations of Judaism in Germany. Like other Germans, the Yiddish speakers lean towards a secular mindset. The Yiddish speaking Jews in Germany need to feel secure and accepted. There is still the remembrance of the Holocaust where those who spoke a Western Yiddish language were most likely to be exterminated. There are parts of Germany, especially areas with a Muslim majority, where Jewish people are not safe. Neo-Nazis are another threat. * Pray that the Western Yiddish Jewish people in Germany will allow Jesus to become their Messiah, their savior. * Pray for the eyes of their hearts to be opened to what God wants for them. 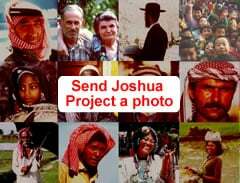 * Pray for a disciple making movement among Western Yiddish speakers. http://www.independent.co.uk/news/world/europe/german-jews-no-longer-safe-due-to-anti-semitism-and-deteriorating-security-a6823216.htmlView Jew, Western Yiddish-Speaking in all countries.